This review was originally posted on her blog Petrona by Maxine and is reprinted here with her kind permission. Kittyhawk Down, the second in the Hal Challis/Ellen Destry series of police procedurals set in the fictional Old Peninsula district in southern Victoria, Australia, is even better than the first, Dragon Man, and that’s saying something. The characters have gelled and the author is more assured in his plotting and pacing this time round. Challis is investigating the case of an unidentified dead body that has been washed ashore, and slightly uneasily settling in to his relationship with the editor of the local newspaper, Tessa Kane. His sergeant, Ellen Destry, is herself on the trail of a man who attacks “courting couples” in parked cars at night, and pretty soon gets a good result, thanks to solid policing of the team, including the attractive character of constable Pam Murphy, her less attractive partner John Tankard and the sensitive Scobie Sutton. The thoughts and actions of these five policemen and women are the backbone of the novel, as they go about their professional and personal lives – personal lives that are intertwined in the local community and as such bring them into contact with people who may be of professional interest concerning various petty and not-so-petty crimes. Challis’s somewhat desultory investigation and his ambivalence about Tessa and his imprisoned wife are swept aside by a series of incidents, starting in a small fashion but escalating way out of control. “The Meddler” is a person who writes anonymous letters to the newspaper complaining about petty infringements of the law by various residents or about failings of the local authorities. Tessa has made these letters into a regular column, but out of this initiative and an (uncharacteristically cruel) article she writes about a man who walks around with a pet ferret on a lead, are the seeds of some ghastly future events. A lonely and introspective man, Challis has one hobby, which is to restore an old wrecked plane, the Dragon, which in 1942 helped ferry Dutch refugees fleeing the Japanese invasion of Java, from Broome to Perth. The Dragon is kept in a hangar at a local aerodrome, along with other vintage planes, one of which is the Kittyhawk of the title. Its owner is Janice Casement, whom everyone calls Kitty after her plane, and Challis feels more than a passing interest in her. One day, Challis witnesses a crazy incident while Kitty is attempting to land her plane, and feels compelled to investigate. While doing so, he finds some unsettling evidence in Kitty’s “office” area of the hangar that may involve or implicate her in some more serious, drug-related, investigations. 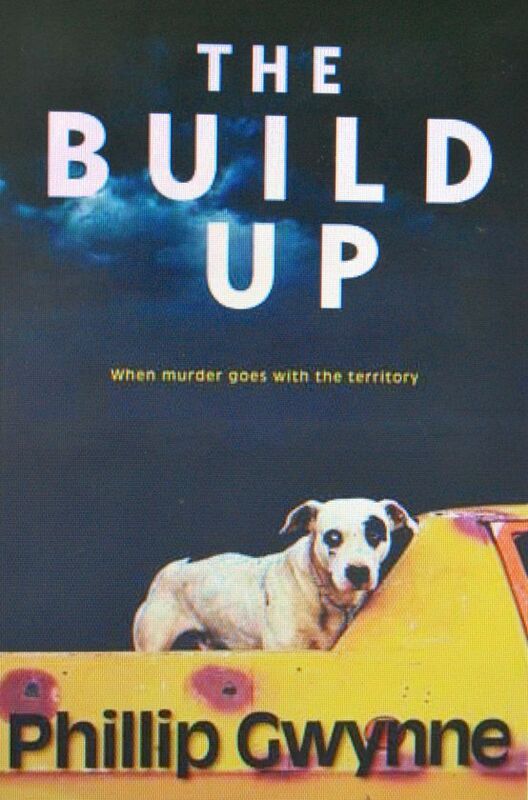 The novel tells the story of these several, apparently unconnected investigations, set against the evocative and vivid descriptions of community life in the Peninsula. Because we are following the lives of several law-enforcement characters, the same people who are questioned by the police in one chapter sometimes crop up in other circumstances – for example one of the policemen has a child at the same school as two “persons of interest” – and this adds a dimension to the novel that is quite unusual in my experience of the genre. While conveying a great sense of place, however, the author never loses sight of his storytelling role, and as the pages turn the reader gradually becomes aware of threads tightening up and connections coming together – how or why is, pretty much, kept obscure until the end, whose tense conclusion is sad in parts, but also satisfying. I’ll end the review by quoting a passage that summarises one of the appeals of this series for me, concerning Challis’s visit to someone whose husband has been shot and killed. An excellent series, and one which I shall be continuing to read with eager anticipation. This review was originally posted on her blog Petrona on Nov 3, 2010 by Maxine and is reprinted here with her kind permission. I thank Bernadette of Reactions to Reading for so kindly sending me a copy of this excellent book. Her review of it is here. This review was originally posted on her blog Petrona on August 19, 2010 by Maxine and is reprinted here with her kind permission. Bitter Lemon Press 2007 (first published in Australia in 1999). The Dragon Man is first in a series of five, soon to be six, novels about Detective Inspector Hal Challis and his Sergeant, Ellen Destry. It’s one of my favourite kinds of novel, in that it describes in detail a police investigation into a crime, provides a strong sense of location and society, and also addresses the personal and professional lives of the detectives concerned. The crime in this case occurs when a woman is abducted on the Old Peninsula Highway in a (fictional) area south-east of Melbourne, Australia. Challis is responsible for crime over a fairly large area in this peninsula, where constant state cutbacks to social services make the job of the police harder – not just because of the increased likelihood of crime, but in creating a challenge for people’s daily lives, for example in organising child care when nurseries are closed down and you have to work shifts. Challis is a serious-minded policeman, whose disastrous marriage has resulted in his wife being imprisoned. His domestic history is gradually revealed via his wife’s late-night, drunk phone calls to her husband from jail – he cannot bear to cut her off completely by divorcing her. Challis is a loner, taking refuge from his less than satisfactory personal life and his heavy workload via his hobby of slowly restoring a vintage World War Two-era plane. His sergeant, Destry, is a highly competent police officer but has her own domestic struggles in the shape of a resentful husband who is also a policeman but at a lower rank, and a sulky teenage daughter – a telling subplot which I am sure reflects many people’s experiences. The story of the crime investigation is very well paced throughout the book as we come to learn more about the day-to-day life of people who live in the Peninsula, as well as and the inner lives of the various members of the police force, positive and negative, as they attempt to find the person who is abducting and killing vulnerable women. There are several intriguing threads to the main plot, which gradually come together in a tense climax. I have to admit that the identity of the perpetrator was pretty obvious, but that didn’t detract from my enjoyment of this highly atmospheric novel, which transported me right into the lives and concerns of the people within its pages. I’m definitely going to seek out the subsequent novels in the series. Summer on the Mornington Peninsula near Melbourne. The heat’s ramping up, the usual holiday madness building. Detective Inspector Hal Challis is already recycling his shower water and starting to dread Christmas. But this year there’s something more. Women abducted and murdered on the Old Highway. A pall of fear over the scorched paddocks. The media are demanding answers—and Challis’s sleepy beat is set to explode. I decided to read this book because the author is a favourite of Bernadette of the excellent blog Reactions to Reading. Here is what she had to say about this particular book. Other reviews of The Dragon Man are at: Australian Crime Fiction; Allreaders.com (reviewer, Harriet Klausner); and e-opinions.com. Question and answer session with Garry Disher and Angela Savage.